Registration Information - this form needs to filled out for your first visit - it includes personal, medical, and insurance information. Please feel free to print it out and complete it before your visit or you can complete it when you arrive. Your Rights Under HIPAA. This is a link to United States Department of Health & Human Services. Our mission is to help you attain your goals, including relief of pain and improved physical functioning. Thank you for visiting the Silk Physical Therapy website and considering placing your trust in our hands for your physical therapy needs. You will be meeting Alan N. Silk, PT for a personal review of your problem. A careful and complete analysis of your condition will allow a treatment plan to be outlined. Physical assessment, pain assessment, biomechanical analysis, gait observation and general postural evaluations all help lead Mr. Silk to shape an individual treatment program that is focused on alleviating your pain and improving your quality of life. 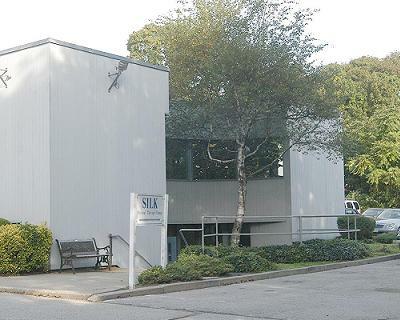 Silk Physical Therapy Center, Inc. has been treating patients in Rhode Island and Southeast Massachusetts for over 20 years. Alan N. Silk, PT has a long standing reputation as a caring, creative and results oriented physical therapist. Goal oriented physical therapy with results are the focus of Mr. Silk and his team. Extra time is taken initially with each patient to determine the actual cause and nature of the problem; therefore, pain free results are achieved sooner.